Thozha is the official remake of the French film ‘The intouchables’. This French film was critically acclaimed for its concept a Friendship that blossoms between two extreme people will be the crux of the story. As was reported, Bollywood filmmaker Karan Johar has acquired the Hindi remake rights of Nagarjuna – Karthi starrer Thozha. As per latest reports, thespian actor, Amitabh Bachchan has been approached for the Nagarjuna’s role. 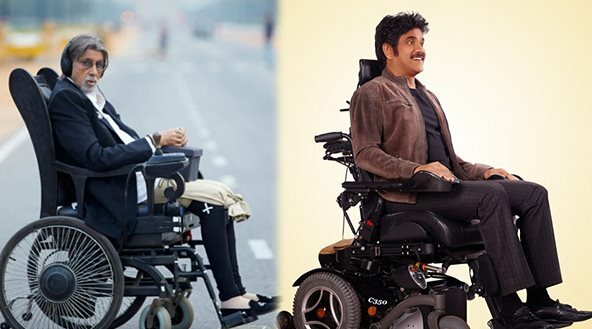 Big B is perfect choice for the character of paraplegic patient who has to stick to wheel chair throughout the film. Makers are on hunt for the heroines role reprised by Tamannaah. Thozha has recieved tremondous response in Tamil and Telugu. The film crossed 45 crore mark. It collected over 2 million dollars in USA.